Adaptable and convenient, these diamond pattern mall benches add value to many site applications. Built for high volume use, these diamond pattern expanded metal benches are ideal for placement in and around malls, transit stations and academic campuses. The all steel construction of the 4', 6' and 8' bench seats use heavy duty 3/4" #9 gauge expanded steel tied together with 14-gauge steel side rails. 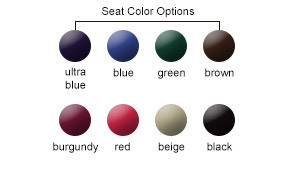 All the seat components are sealed in an impact and UV	stabilized polyethylene finish. The frame legs use an 11-gauge steel tubing that is protected with a durable powder-coated finish, allowing these benches to withstand the harsh seasonal elements and maintain its clean image. 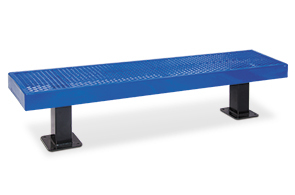 The 4', 6' and 8' mall style bench is available in in-ground or surface mount options.